I was very pleasantly surprised. 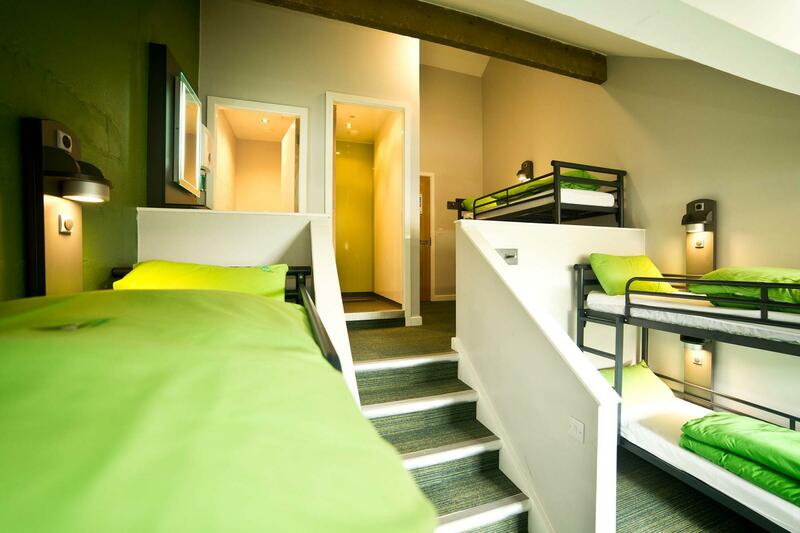 I haven't stayed in a hostel since I was a student. Staff were very friendly and everything was very clean. When would you like to stay at YHA Snowdon Pen-y-Pass? This much loved and famed location is now a state of the art accommodation base in the heart of Snowdonia. The hostel also pays tribute to its famous past and information about the surrounding mountains can be seen throughout the building. YHA Snowdon Pen-y-Pass boasts cosy snug social areas where you can relax and share stories with your fellow travellers. There's no phone signal up here, but with wi-fi, games, books and excellent company you won't mind. YHA Snowdon Pen y Pass benefits from a modern classroom with high tech conference facilities, ideal for group presentations, business conferences and school groups, as well as probably the swankiest self-catering kitchen you've ever seen in a hostel. The café at Pen-y-Pass is named after Mallory and is a fantastic setting for mountaineers to rest and recover from the day’s exertions. And as a solo traveller, you’ll never be lonely. Simply sit down with a beer, open the OS map and within minutes you’ll be trading experiences with a fellow adventurer. Mallory’s Restaurant & Bar provides a great place to meet fellow travellers, share hiking stories and chat about your next climb. Offering a broad selection of delicious food throughout the day, alongside a range of freshly made hot drinks and a well-stocked bar. Open daily throughout the summer to guests and passers-by, let us welcome you to rest your legs and indulge your senses after the day’s adventure. Try the brilliant tracks directly across the road from the hostel. Crib Goch offers grade 1 scrambling opportunities, with lots of famous climbing crags available in the immediate area. Parking: We have space in our layby for around 6 cars (Free of charge and are first come first serve). Parking permits for the Pay & Display are available for purchase from reception on arrival and are on a first come first serve basis. Once these are gone, you will need to purchase a ticket from the National Park machines. The National Park machines are located in the pay and display across the road. This costs £10 for the day and £10 for the night (run by Snowdonia National Park). Manager recommends: Climbing Mount Snowdon can be a life affirming moment, and it’s within your grasp and on the doorstep at YHA Snowdon Pen-y-Pass. Escape the crowds in the Glyderau. The summits of Glyder Fach and Glyder Fawr can be reached from the hostel. Be sure to grab a photo on the famous ‘Cantilever Stone’ rock formation.